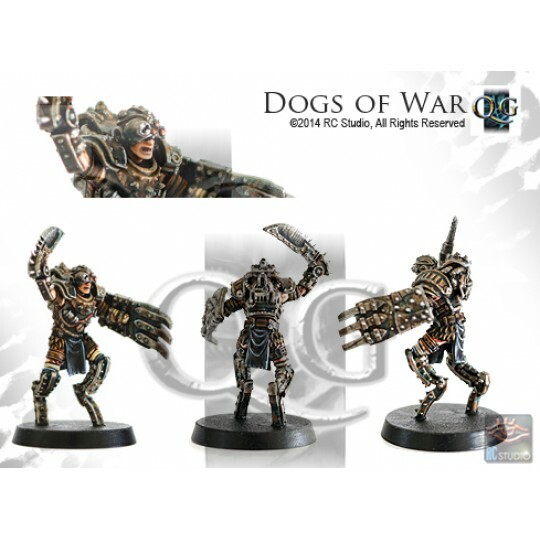 32mm fine cast - Limited Edition - Dogs of War - unassembled, unpainted. 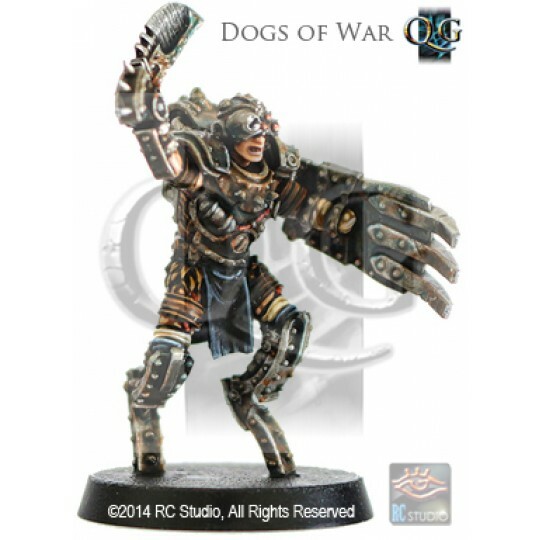 Dogs of War are valued shock troops, largely because they are utterly relentless in their attacks, and direct in their strategy. Once activated by a Tech-Savant, the Dogs of War will fight with unbridled fury, stopping only when every enemy is destroyed or they are too badly damaged to continue. 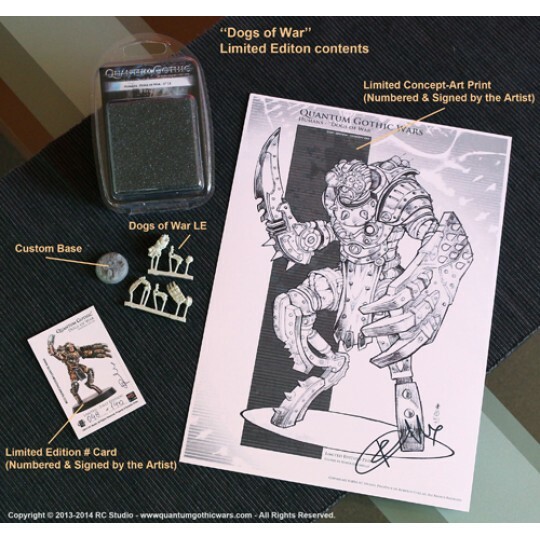 While active, Dogs of War receive continual electrical stimuli to their brains, putting them in a state of perpetual agony that masks all other pain from battlefield wounds. It is this electrical impulse that the Tech-Savants interrupt to provide vague direction for the Dogs of War in the field. Simultaneously, the organic parts of the Dogs of War are augmented with a cocktail of adrenaline and advanced proto-steroids, which are delivered via a rudimentary pump system often bolted to the warrior’s body. These chemicals feed all of the major organs and muscles, giving the Dogs of War incredible strength and stamina.